St Helena Government has received news of the sad passing of former Governor, Sir Thomas Oates CMG OBE (photo attached), who served as Governor of St Helena between 1971 and 1976. Sir Thomas passed away peacefully at Windmill Court Care Home in Cornwall on Sunday 28 June 2015, aged 97 years. 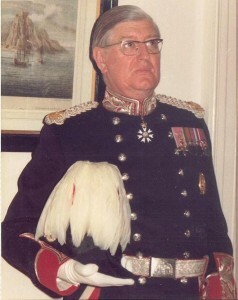 During his term of office on St Helena, Sir Thomas initiated a number of major social and infrastructure development aid projects on the Island. Sir Thomas always had a special affection for St Helena and her people. Governor and Mrs Capes, on behalf of St Helena, extend their sincere condolences to Sir Thomas’ family on this sad occasion.